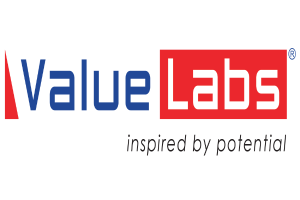 ValueLabs is a leading business technology services and solutions provider catering to over 150 customers through 25 offices spread globally. Drawing on more than 5000 employees, innovative solutions, and a flexible extended team engagement model, the company helps its clients stay ahead of the learning curve, drive revenues, and enhance market position. It has several long-standing client relationships, with the average tenure of its top 15 clients being more than nine years. Over nearly two decades since its inception, thriving on the principles of Perfection, Love, Unselfishness, and Strength (PLUS), the company is ‘inspired by potential’ and is a firm believer in the Company as a Platform (CaaP) concept. Its services span across consulting, digital solutions, software product and application development, maintenance, Quality assurance, infrastructure and product engineering services for leading organizations across verticals.